If I had a dollar for every friend and family member who asked me before I left “…but is Israel safe? Aren’t you scared? !” I’d have about, well, fifty dollars. Truth is, for anyone who regularly reads or watches the news, Israel appears to be an awfully dangerous place, and if you’re planning on visiting Israel and the Palestinian territories right now, those questions will quite probably popup in your mind, sooner or later. I feel like I need to begin this post by saying that no one can really tell you anything at all about safety or security next week or next month, let alone years from now, in Israel and the West Bank (or for that matter, anywhere else). The situation can change suddenly, and expats traveling in and around must always keep up to date with the latest travel alerts. I can, however, share with you my experience, and assure you with confidence that there was not a single moment I spent there where I felt unsafe or unprotected. I can quite clearly recall floating in the Dead Sea, walking the streets of Jerusalem or bar-hopping in Tel Aviv way past nightfall, not giving my safety a second thought. I’ll try to answer the most commonly-asked questions I received in a clear and detailed way, but if you don’t find the answers you were looking for, feel free to contact me, I’d be happy to help you. So let’s jump to the point! Doesn’t really take a rocket scientist to figure that one out. 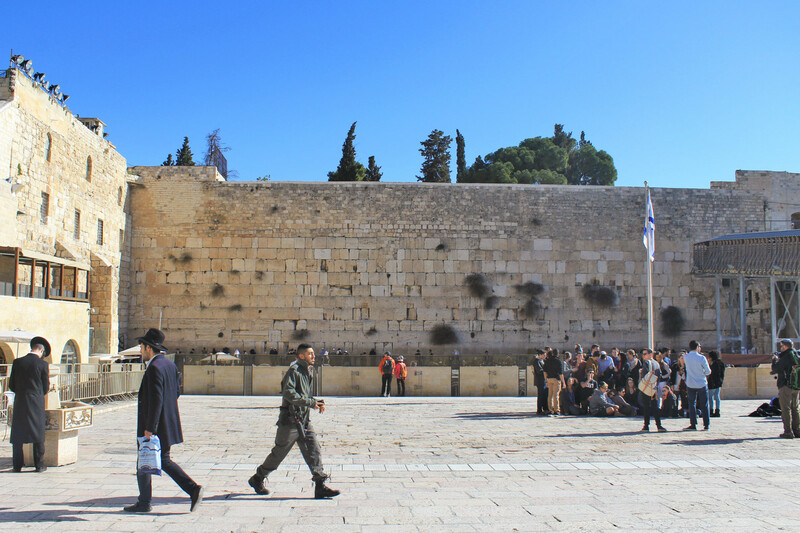 Israel’s location in the Middle East places it in a culturally fascinating part of he world, but also places it in the middle of one of the world’s biggest political and religious hotspots. Few countries in the region have established diplomatic relations with Israel, and the Israeli-Palestinian conflict still remains unresolved – an issue which will one day have to be addressed somehow. Jerusalem is currently claimed as a capital by both Israel and Palestine, and in addition, Israel’s occupation of east Jerusalem is not internationally recognized. The city’s status is one of the key issues of disagreement in peace negotiations. I certainly do not want to bring up a political tone to this post, I just needed to point out that regional instability is, in fact, a fact of life. But the point is, does this mean that Israel is an unsafe warzone? No, it doesn’t. The fear of visiting Israel and Palestine, like many fears, comes from a lack of knowledge, which ironically in this case is something that is directly caused by the media’s reporting – or at least partially. They really tend to direct attention on a small part of the reality of its life, and report focus very intensely on isolated events, to the point that, in the end, some small hot-spots located in specific banned areas like the Gaza Strip somehow seem widespread across the country. 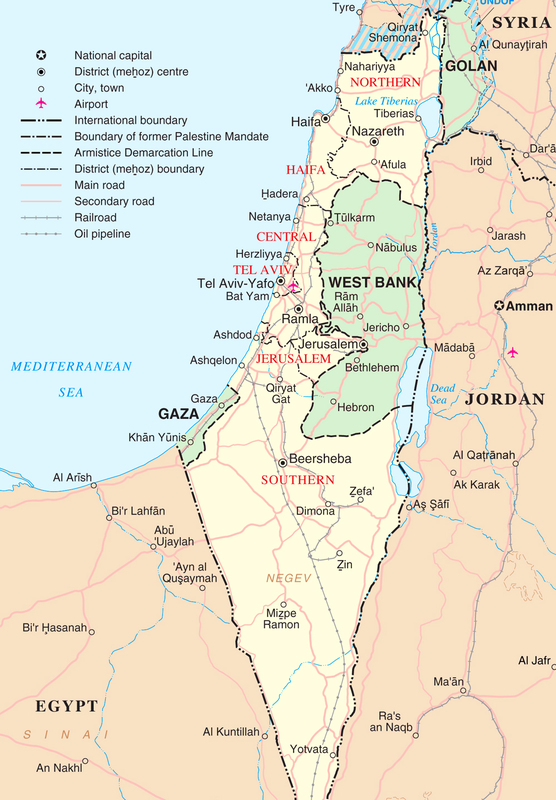 Truth is, the vast majority of the State of Israel is safe and untouched by the violence so commonly pictured, and statistically, for example, this place has far less crime than the USA and far less violence than the average city. Israel is not even a place one need be afraid of harassment, and solo female travelers can feel quite comfortable walking around the main cities in the evenings, as many many local women are doing the same. Despite the headline-making violence, Israel still remains a popular tourist destination (more than 4 million tourists visited in 2015 alone) and the reality is that everyday life is pretty much normal. As military service is mandatory for both men and women, it is normal to come across fully-uniformed soldiers with serious weaponry on the streets, but you’ll soon get used to it. In fact, it felt reassuring knowing that Israel did take its security and safety concerns seriously. You will find security checkpoints in most public places. You’ll go through metal detectors at every train station, mall or government building, you’ll be frequently asked to open your bags for a security check. Every eating establishment will have a security guard, and Israeli organized trips are often accompanied by guards. Security on flights bound to and from Israel is extremely strict. Professionals trained to spot any danger ask each passenger a number of questions, and they take this very seriously. To sum it up, I was asked questions about the purpose of my trip, where I was going, what the agenda was and so forth, then questions got a lot more personal once they saw the UAE stamp on my passport. I mean, really personal. I had also every item pulled out of my bag and x-rayed separately, then I was even separated from my bag and passport for 45 minutes before I could even approach the second immigration desk. Eventually, I received my bag, my passport, a smile and was told to proceed. I can’t say that passing through Israel’s airports is a marvelous travel experience – to be honest it was freaking annoying – but they do work hard make sure visitors and citizens alike are as safe as possible. It’s extreme, yes. But effective. In short, unless you’re a A-list celebrity, you’ll never be this well-guarded in all your life. So, to answer the first question, according to my opinion and my experience, yes, Israel is safe to visit. First of all, contrary to the stereotypes, people are warm, friendly, welcoming and open to meeting foreigners, and there is a very large English-speaking expat community living in Israel. Making friends is quite easy. Moreover and perhaps surprisingly to most, life in Tel Aviv and Jerusalem, as well as most of the rest of Israel and West Bank is continuing pretty good as usual. 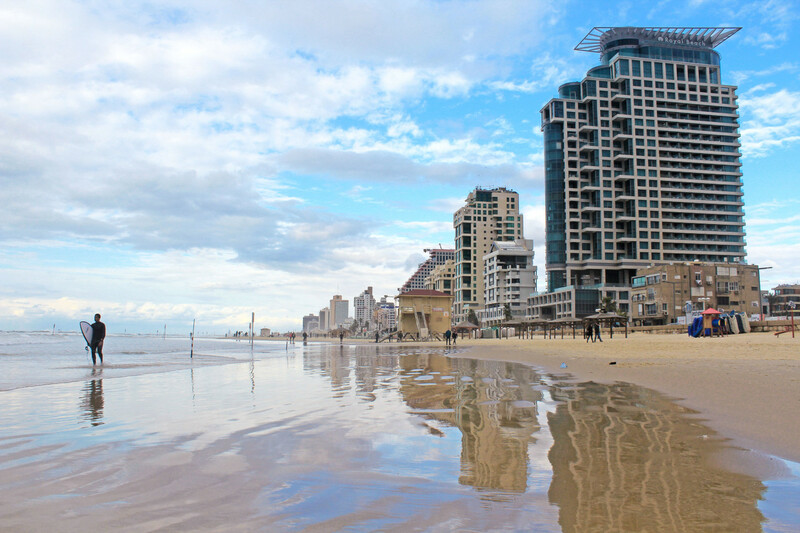 The streets buzz at all times of the day: in Tel Aviv the bars and restaurants are packed until dawn, and the beaches are full of people playing matzot and beach volley, exercising or walking their dogs. Though it may be ancient, Jerusalem is totally catching up to its neighboring metropolis of Tel Aviv, and whether you prefer a relaxing evening in a cafe, a dance party or a cultural experience, there’s plenty to do after the sun goes down. Bethlehem and Jericho are fine and heavily traveled by tourists. Even if they lie in Area A (meaning they are under Palestinian control) they totally remain an oasis of peace and there are several organizations that offer one-day tours. I’ll be honest, I can’t answer this question for you. Safety is a matter of individual tolerance, and I don’t think there is a universal answer to people’s tolerance to risk – it will be defined differently by different people. You have the right to feel good when you travel and so decide what level of risk would you take in the name of travel. I’ll tell you this: I’ve been to plenty of supposedly dangerous countries and had an amazing, safe time. The truth is that whether you’re in Israel, USA, Switzerland, Japan or my backyard, you’re going to meet different types of people with different kinds of intentions. 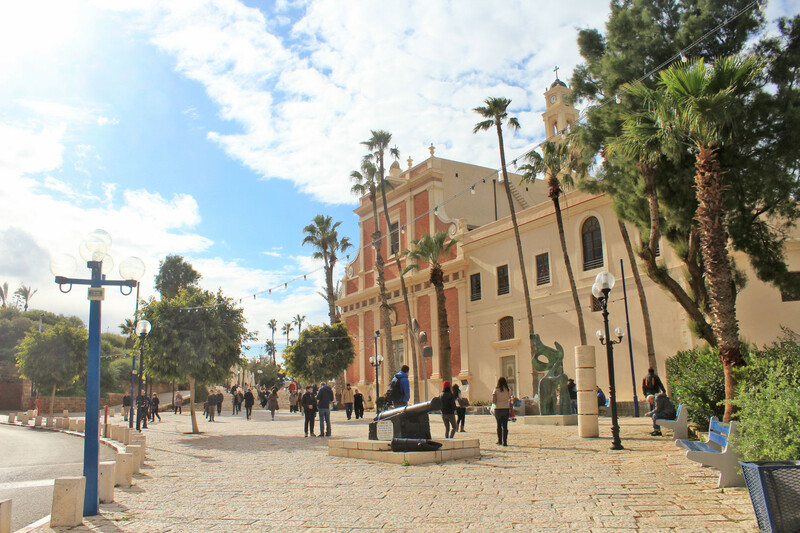 Overall, from my experience, Israel is a place where travelers can come to learn, relax, have fun, and partake in some unforgettable experiences. By no means am I saying that all is perfect, but what I can report is that I have felt totally safe and welcomed. Stay updated on current travel advisories, use your brain, you’ll be great. Have you ever travelled to a place that others considered too unsafe to visit? Do you have any plans to visit Israel and the West Bank soon?